Last year, the Madras High Court ordered a ban on western clothes for the devotees entering Tamil Nadu temples. 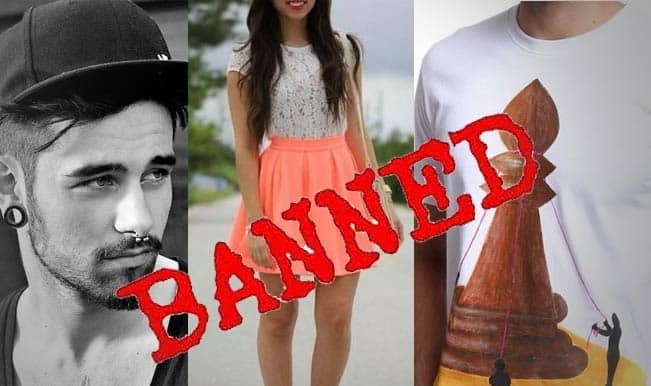 They generated a dress code which banned jeans for both men and women. Females are also not allowed to enter in skirts. The order says that females should be in sarees or half sarees or churidhar with kurta and guys must wear a dhoti and a shirt, or a pajama ‘with upper cloth’ before entering. but it’s the same story there today as well. Girls are only allowed to wear white salwar kameez on Mondays and colorful ones for the rest of the week. With the changing times, college authorities allowed jeans with long kurtas but those girls were wearing jeans with T-shirts. Well, the dress code was implemented in 1970 and it’s hilarious as well as offensive that they are still living in that era. Blogger Kiruba Shankar shared his experience on Facebook about this college, when he was there to deliver a talk on entrepreneurship but was asked to change into formal trousers before the session. No one is allowed to wear jeans here. It is said that not even student’s parent can come here in jeans! 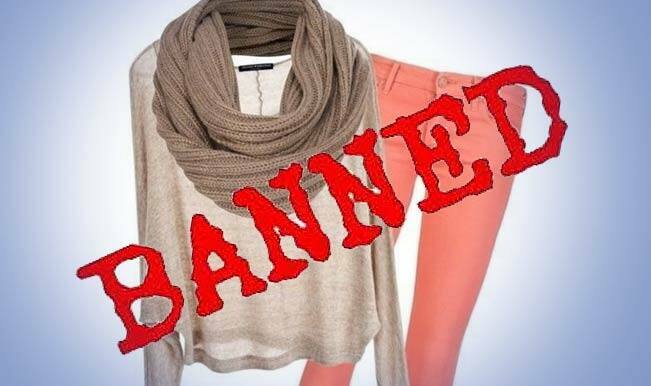 A diktat was issued by a khap panchayat in Barmer that imposed a ban on girls wearing jeans and using cellphones. They have also asked bridegrooms not to wear dhotis on their wedding days and has banned DJs from performing in functions. A dress code has been enforced on the students by the Muslim Educational Society. Under this, students are only allowed to wear salwar kameez, churidar, and an overcoat. Muslim students are also asked to wear a dark grey maftaor head scarf. The dress code of this college, titled ‘big No for Girls’, went viral on the internet. Girls are asked not to wear leggings, tight pants and tops, there was also a ban on short kurtas, loose hair, and even large dial designer watches. The prestigious college generated a dress code which allows a below-knee length skirt for girls and no kind of jewelry for boys. When questioned, they said this is to maintain a proper atmosphere in the college. Wear These Trendy And Affordable Womenswear To Look Super-stylish This Diwali!